*IF YOU ARE VISITING ON YOUR PHONE, PLEASE SCROLL TO THE BOTTOM OF OUR PAGE & SWITCH TO "DESKTOP VERSION"
Save Aloha School From Kauai Flood! from Aloha School on Vimeo. Aloha School - Video Update 1 from Aloha School on Vimeo. Update 2 - Slide Show from Aloha School on Vimeo. Big Things! Cement floor is complete! Update 3 - Big Things! from Aloha School on Vimeo. New Floors & Artsy Fartsy Day! Update 4 - Wood Floors & Art Galore! from Aloha School on Vimeo. New walls, floors, kitchen plumbing & more! Update 5 - We're On Our Way! from Aloha School on Vimeo. 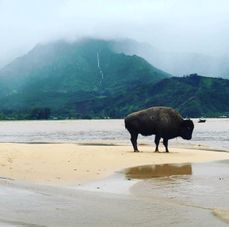 As many of you are aware, the North Shore of Kaua'i was hit with a thunderstorm of unprecedented proportions over the weekend of April 14th and 15th. 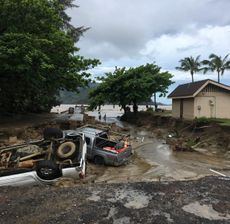 Hanalei town received 28 inches of rain in 24 hours which caused massive amounts of flooding, landslides, sinkholes, and overall damage and devastation throughout many of our communities on island. 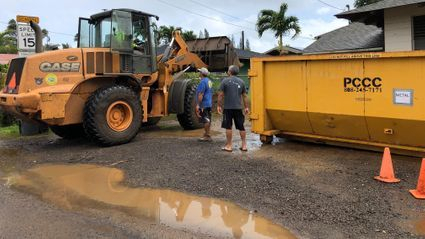 During the first day of the storm, Ashley and Dave, the directors of Aloha School, were out in the community helping others who were stranded without housing or transportation. 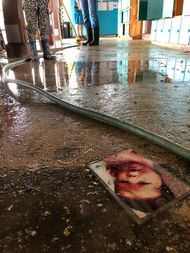 When Dave was able to get to their school, the water level was waist high, leaving a majority of their school floating in the infected cesspool filled muddy waters. During the following days, many local residents came together to help Ashley and Dave completely gut their school. Aloha School had to throw away nearly everything. 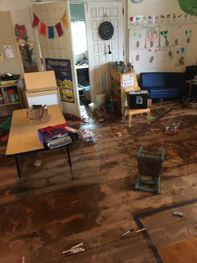 From tables and chairs, library and learning toys, to the schools entire flooring. The office and kitchen, appliances and all, were also completely destroyed. 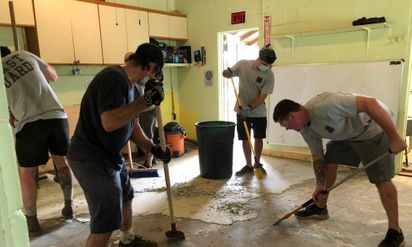 Now it is our turn to come together as a community, near and far, to help rebuild the beloved preschool of Hanalei so the kids, their parents and our community can get back to life! Home Depot List to provide many basics for the rebuild. 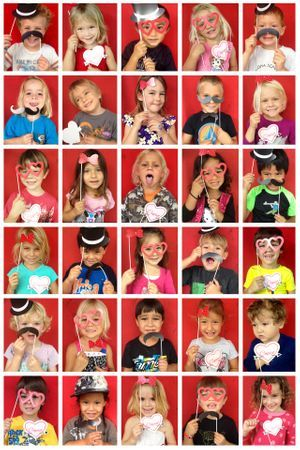 Please follow the link below and send The Aloha School an "E-gift card". 3. Flooring and re-construction materials. As you can see if the video below, two of the rooms need to be completely re-built top to bottom. 4. Their working garden was decimated. We need wood, garden linings, soil and tools to build their above ground gardens. 5. Their large outdoor sand box was decimated. We need wood and sand to build. 6. Four industrial shade canopies to protect the children from the sun during the hot summer months. 7. Two/Three 20x20 or 20x10 outdoor tents for their fundraising events -- which, if you have been to one of them, you know how amazing they are and how much work Dave and Ashely invest into each one. 9. 8 ceiling fans and 6 wall fans (4 for the nap room and 2 for the lunchroom). 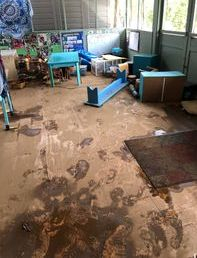 Sheila Hagopian Bradley has also set up an online book fair to help rebuild the Aloha Schools classrooms and fill them with brand new books for their Keiki!! She will match any purchases on this link with 50% free books for Aloha School. That means if you buy $20 of books for your own kids, birthday gifts, teacher appreciation gifts, she will donate $10 of books to Aloha School. In addition, if you would like to purchase books for the school directly, place your order and then select the "Ship With Organization Option" when you check out. Shipping will be free and will ship directly to the school. She will also match these purchases with free books!! So if you purchase $20 for the school, she will add an extra $10!! Thank you all for taking the time to learn more about our community and supporting us in this time of need. 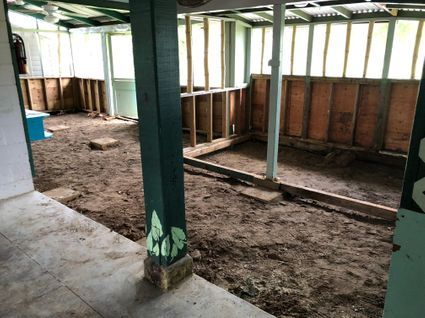 We feel so grateful for everyones continuous support and generosity to help us rebuild Aloha School. We are truly amazed at the love, strength, and support this community has shown during such hard and trying times. 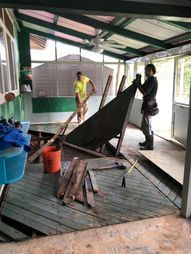 In an effort to be sustainable and efficient, we would love if all donations could be made through our GoFundMe campaign, our Amazon Wish List or our Home Depot E-gift cards. There are so many families who are in need, and we do not want to take more than what is needed. If you have other toys, games or books you would like to donate, please email us at aloha.school@gmail.com and we can help re-direct you to a family in need. If you would like to set up a fundraiser with your community to help us rebuild, please email us at the same address so we can help you create and organize it! Your donation will help Aloha School continue to provide the best quality education and care to Hawaii's children, preparing them for successful entry into Kindergarten. organization and your gift is fully tax-deductible. Volunteer/In-Kind form. Help Spread the word !